If you’re searching for a compassionate team of veterinarians in or near North Palm Beach, Lake Park, FL, or any of the surrounding communities, we are who you want! At Northlake Animal Hospital, our vets can spay and neuter your pet, as well as perform any veterinary emergency service at our office in Lake Park, FL. We perform these procedures with your pet under general anesthesia, and he or she will also receive medication to induce sleepiness and ease pain. We monitor your pet’s heart rate and oxygen level with a machine throughout the entire procedure to ensure your furry friend is in good condition. Inevitably, our spay and neuter vets want your pet to be as comfortable as possible before, during, and after the surgery. 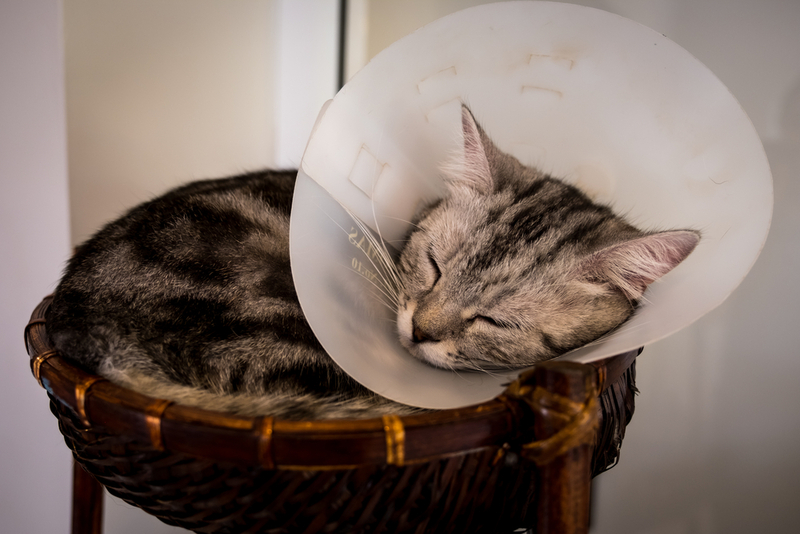 Most of the time, a neutering procedure can be performed on a healthy cat and dog can at eight weeks of age, and as long as it weighs over two pounds. We put dogs and female cats on a heating blanket during the procedure. We also perform the male cat procedure so quickly that we won’t put the cat on a heating blanket until after the neuter surgery. Most cats recover very fast through the use of a reversible anesthetic shot. They will usually wake up within ten to twenty minutes and can walk around. Dogs, on the other hand, awake after fifteen to thirty minutes. A female cat spay surgery can be performed in fifteen to twenty minutes. However, how long it takes will also depend on her age and if she is in heat. A female dog spay can take anywhere from twenty to ninety minutes. Sometimes it lasts even longer depending on her age, size, and where she is in her heat cycle. If a female pet is in heat, her reproductive tracts are more fragile and hold more blood so it can take a long time. Here at Northlake Animal Hospital, our compassionate team can perform spay and neuter surgeries with ease while making sure your pet feels as little discomfort as possible. We can also help develop wellness plans for pets to ensure that they live long, healthy, and happy lives at their homes in Lake Park and North Palm Beach, FL.